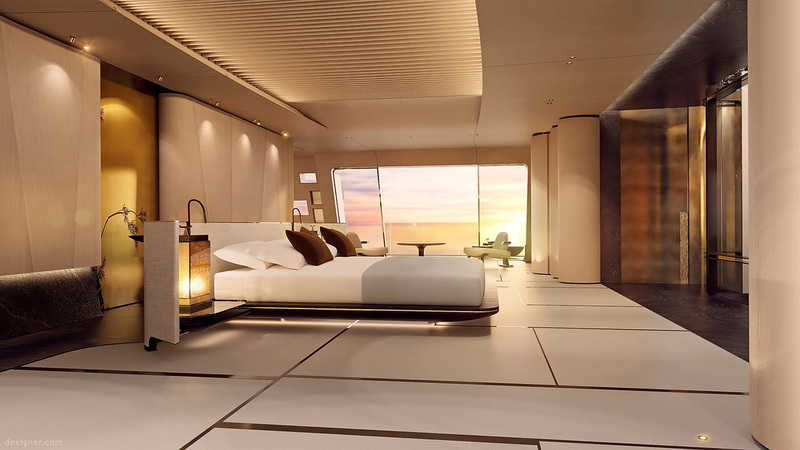 Oceanco unveiled its new 377ft superyacht concept ‘Tuhura,’ conceived in collaboration with Lobanov Design Studio, BMT Nigel Gee and the interior designer Achille Salvagni. 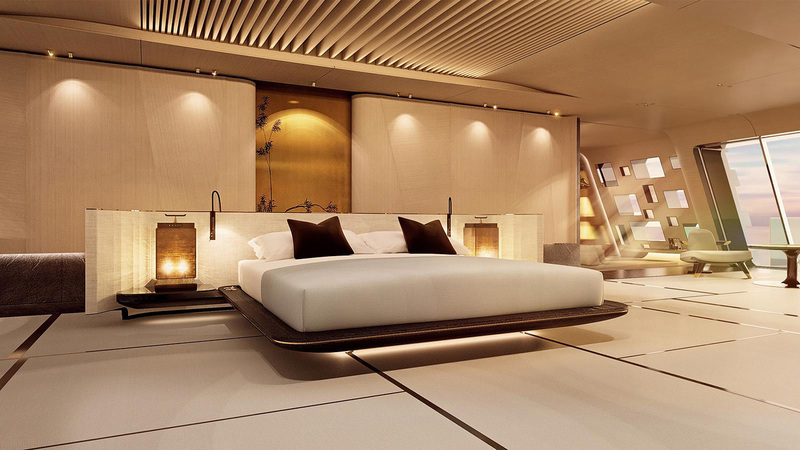 Though it won’t get into the list of the most expensive yacht all over the world Tuhura is truly in a category of its own, unlike any yacht on the market. Its design harkens back to ancient times. The exterior styling is reminiscent of early canoes; dugouts and other vessels used hundreds of years ago by indigenous people all over the world. The Polynesians, in particular, famously made long voyage explorations across thousands of miles of open Pacific Ocean in their outrigger canoes. The thinking behind revisiting basic primal forms is to evoke a sense of exploration and discovery. 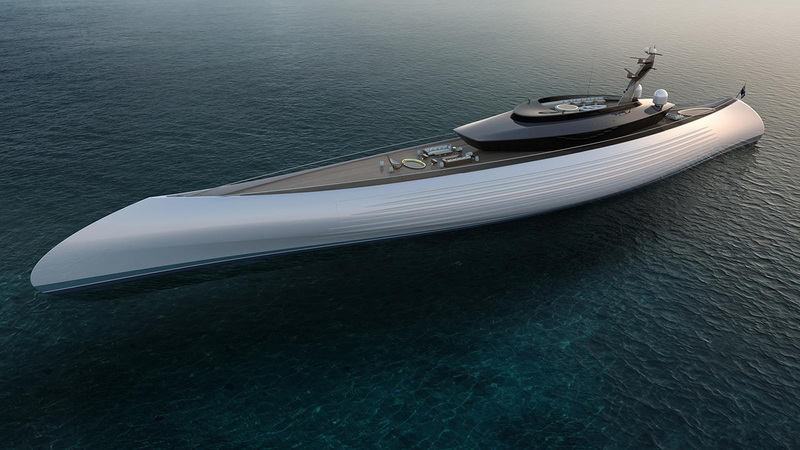 Lobanov’s masterful exterior design works well with the interior and is inherently flexible so that the yacht can be designed in any size from 250-400ft in length. Tuhura’s hull and propulsion system have been developed in collaboration with BMT. The pure simplicity of the canoe form leads to a naturally efficient hull with low overall resistance, good seakeeping and excellent maneuverability. Innovation and cutting-edge technology is evident throughout the design. 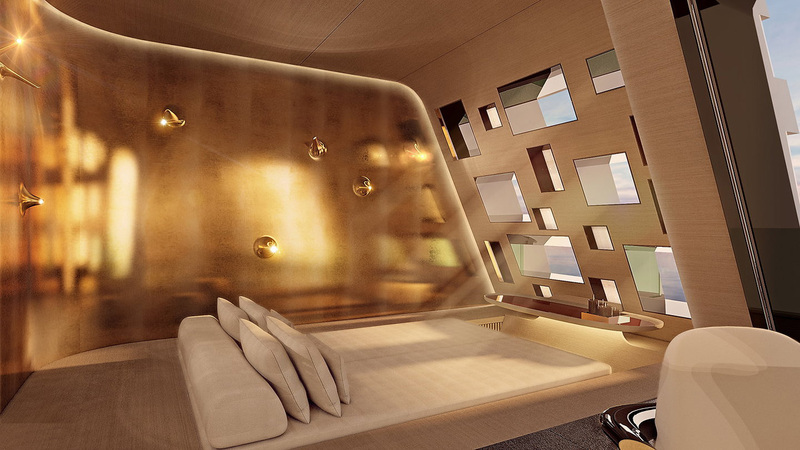 The hull has been conceived with multiple horizontal windows, utilizing an advanced glass technology that consists of a series of dots, allowing the view from within to be completely transparent, while from the exterior, the windows appear the same color as the hull, disguising their appearance. Glass features further in the impressive black superstructure made up of flat glass panels.